While playing the “just one more episode” game with Netflix last night, I noticed a tweet from a former coworker: Best Buy, it seemed, had opened up pre-orders for the SNES Classic. Nintendo’s followup to the much sought-after NES-themed nostalgia box was sure to sell out quickly. But the hard part was getting Best Buy to take my money, and it turns out I was far from the only one with issues. Back in November, pre-sales for the NES Classic managed to crash Amazon. And earlier this year, some Nintendo Switch purchases were missing tracking codes. 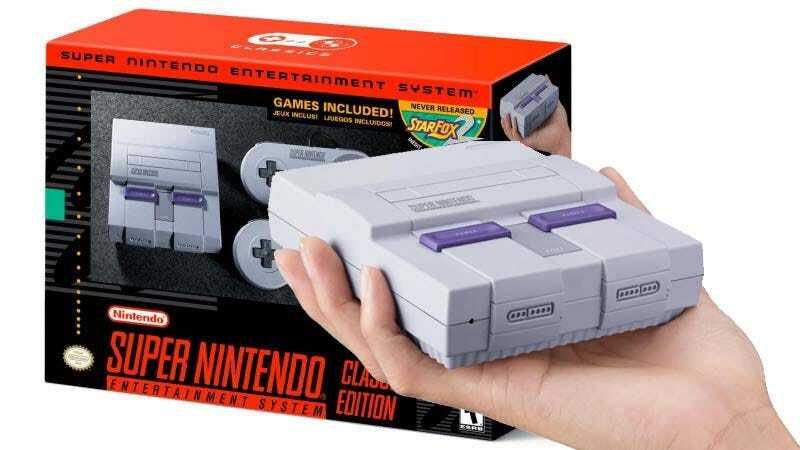 The SNES Classic even went up (briefly) on Walmart’s website due to a “technical glitch” in July. Fortunately, Best Buy’s SNES Classic pre-sale didn’t have these issues. Unfortunately, the store’s website instead refused to ship to the addresses of many potential buyers and spat back errors claiming no stores within 250 miles were available for pickup orders. After being told my home address was a no-go and trying to put in pickup orders for Best Buy locations in Manhattan, Queens, or Brooklyn at least a dozen times, I tried the Gizmodo offices. 2 West 17th was declined, but 114 5th avenue was accepted, despite these being two entrances to the same building. We’ve reached out to Best Buy for comment about what went wrong with their pre-sale and will update if we hear back.